Before Instagram was an art form, fashion photographers were pop culture royalty. From the postwar covers of Vogue until the triumph of the digital image, the fashion photographer sold not only clothes but ideals of beauty and fantasies of perfect lives. Even when they succumbed to temptation and excess, the very few photographers who rose to the top were artists above all. 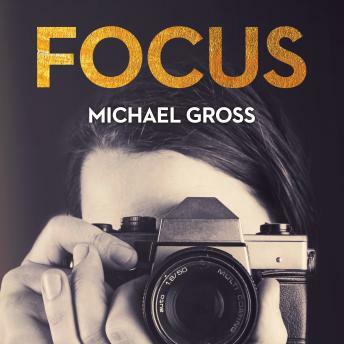 In his follow-up to the New York Times bestselling Model: The Ugly Business of Beautiful Women, Michael Gross probes the lives, hang-ups, and artistic triumphs of more than a dozen of fashion photography's greatest visionaries: Richard Avedon, Irving Penn, Melvin Sokolsky, Bert Stern, David Bailey, Bill King, Gilles Bensimon, Bruce Weber, Steven Meisel, Corinne Day, Bob and Terry Richardson, and more. From Avedon's haute couture fantasies and telling portraits to Weber's sensual, intimate and heroic slices of life, and from Bob Richardson's provocations to his son Terry's transgressions, Gross takes listeners behind the scenes and reveals the revolutionary creative processes and fraught private passions of these visionary imagicians.